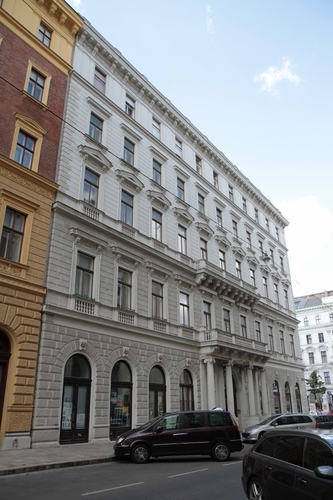 Adolf Lorenz and his son Albert worked together in some consulting rooms of this building of Vienna (Rathausstrasse, 21). 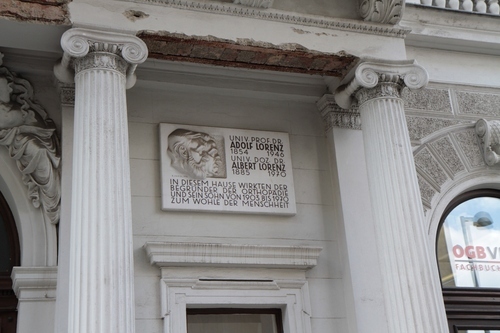 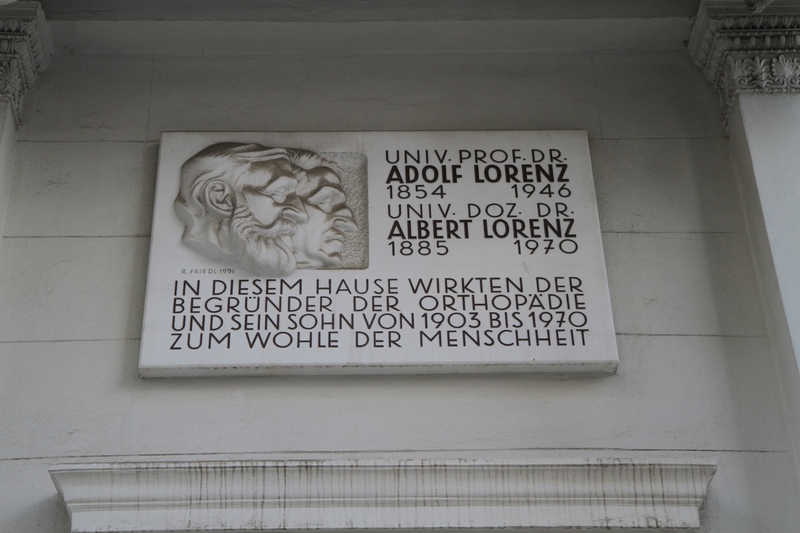 About 1991 a marble memorial tablet with the bas-relief heads of the two scientists, a work by Austrian sculptor Rudolf Friedl, was unveiled on the facade by the initiative of the Adolf Lorenz Society1. 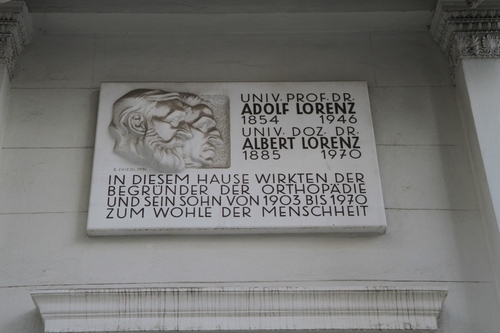 A project to transform the consulting rooms into the "Adolf Lorenz Memorial Rooms" was started in those same years: that project was not realized, at least so far.